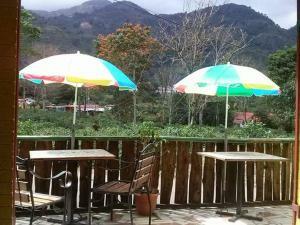 ﻿ Best Price on Finca Agropecuaria Queveri in Orosi + Reviews! Offering an outdoor pool, a garden and free WiFi in all areas, Finca Agropecuaria Queveri is located 20 minutes' drive from Orosí, surrounded it by the National Park Tapanti. You can enjoy garden views from all the rooms. 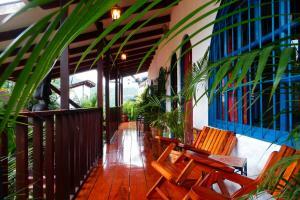 At Finca Agropecuaria Queveri you will find 2 terraces with hammocks and a TV room. Other facilities offered at the property include meeting facilities, a shared lounge and barbecue facilities. Food service is available upon request offering Costa-Rican dishes. An array of activities can be enjoyed on site or in the surroundings, including cycling, horse riding, rafting, fishing and hiking. The property offers free parking. This farm stay is 31 mi from Juan Santamaría International Airport.